Does your current marketing strategy include lots of high quality, original content? Are you putting your customers and prospects’ needs and interests first by providing them with answers and advice to the problems they are currently facing? 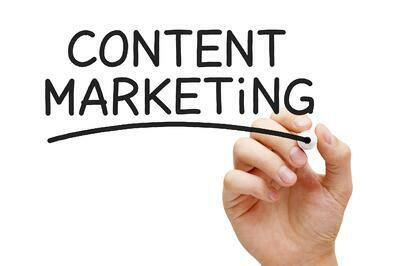 Content is an indispensable factor for getting found online and maximizing lead generation. Content, in the form of blogs, whitepapers, videos, web copy, and many others, serves the purpose of guiding your prospects through the different stages of the sales funnel.With Google’s most recent changes to their algorithm, content has been placed front and center. The world’s most popular search engine is trying to create an experience that is centered around high quality, helpful content, as opposed to link-filled, but low-value sites. This is not to say that a site with a lot of links makes it low in quality, but Google is now making content a key factor in a site’s worthiness to appear higher in the search engine results pages (SERPs). The world of inbound marketing, a term that was coined by Brian Halligan in 2005, necessitates a more robust content marketing strategy in order to establish oneself as a helpful resource and to convert visitors into fans and fans into paying customers. 63% of consumers are more likely to buy from a company that produces custom content, according to a study by Roper. Websites with blogs have a distinct advantage over websites that do not have a blog, with 434% more indexed pages and 97% more indexed links. Content marketing costs 62% less than traditional marketing and generates about 3 times as many leads, according to Demand Metric. Have you fully developed your buyer personas? In order to do this, you will have to perform rigorous research to clearly understand your target market’s pain points and the solutions they are hoping to find. Buyer personas should be deep insights into your clients and not something people would guess. You want to understand how they act, what they value, and why they buy. The goal of buyer personas is to get past the obvious, initial response. What are the most critical problems they are trying to solve? This process should help you to clearly visualize who is likely and able to purchase your product or contribute to the decision to buy. This should be the first step in your content marketing strategy because it helps you to speak directly to your target market. This will allow you to focus your content to your prospects’ specific needs and interests. Don’t forget that the goal of any inbound marketing campaign is to nurture prospects and bring them along to a buying decision and then, hopefully, enter into a profitable business relationship. In order to do this effectively, your content needs to be well optimized for the keywords that are most related to your unique position in the marketplace because you can have the best content in the world, but if no one knows it’s out there, you won’t be helping anyone (or making any money!). Use tools like the Hubspot Keyword Grader, the Moz Keyword Difficulty Tool, or the Google Adwords Keyword Tool to research relevant keywords and decide which terms and phrases would resonate with your clients the most—the ones they would use for search. Create your content around these keywords. In order to drive a lot of traffic to your content and get it in front of a lot of eye balls, you’ll want to make it easy to share. Make sure to include social network icons on your posts and in your blog. Very simply, make sure they have no reason to give up when they want to share your stuff. There is too much content on the web that can be shared with one click for a visitor to waste time trying to dig around for your social media info. Make sure that your content is more than just a billboard for your services. This type of marketing is dead and/or dying. Your job as an inbound marketer is to help your viewers achieve more of what they want in their life and to provide them with the relevant answers they need, when they need them. Make sure your visitors walk away with something of value if you ever want them to come back. Content Marketing is an ongoing conversation with your prospects. Establish a voice and a personality for your content that meets the buyer persona with the right tone. Remember that inbound marketing is all about interacting with your visitors and guiding them to a buying decision based on your demonstrated expertise in an area. By now, hopefully I’ve convinced you to start creating more targeted, valuable content. Your customers and prospects are motivated to find information that will solve a challenge, whatever that might be. It could be to make their lives easier, it could be that they want to know how to knit, it could be that they want to understand blogging, and they’re willing to reward those who can deliver this kind of content. You have a great opportunity to be perceived as a problem solver for your target market, if you can create the right content, with the right message, directed at the right audience.